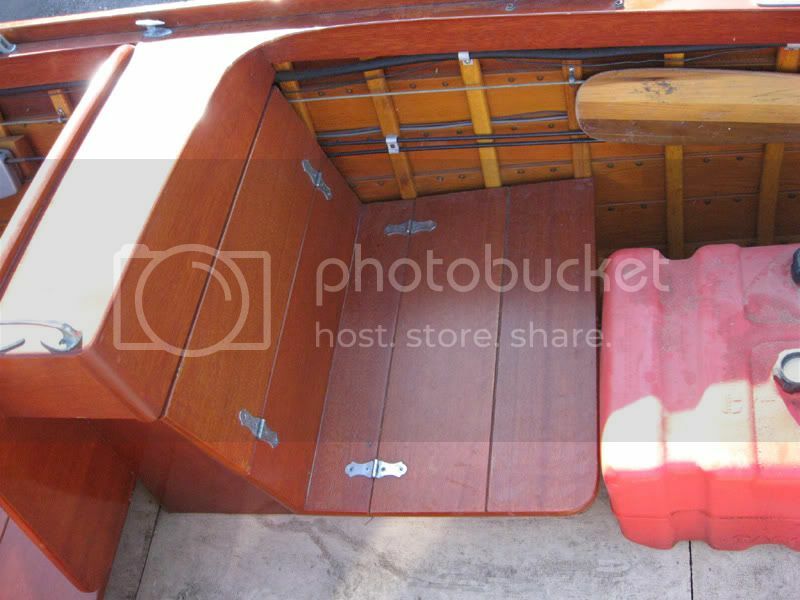 Does anyone have original type hinges for a fold down rear seat?. I suspect that the ones for a Seacoaster are similar to the ones used in a fold down Sea Lancer rear seat.. I also have a '60 Sea Coaster (Special) with back to back seats. Mine doesn't have a rear seat, but the hinges on mine look like these, if that's any help. I'd think the same hinges would be used for either back to back or a rear seat(?). The hinges in Verne's photo are the same as I have seen on many Thompson Boats built at Peshtigo. Over many year time period too. Finding a source is the tricky part! Find someone that is parting out a boat. Try giving KENDOR Marine in Franklin Wisconsin a call or send them an email with the photo of the hindges on WGUY's boat and see if they have any thing like it in stock. Their phone number is 414-421-4370, website: www.kendormarine.com. They are located at 5713 W Ryan Road Franklin, Wisconsin. They have a lot of NOS hardware and they just mighthave something close to what you want. Great... thanks Fellas... I will try Kendor... the ones in Verne's boat are just the ones I am thinking of... The closest I have seen so far are shorter and wider, with three screws per side.